We can`t wait to celebrate our 5th anniversary in two clubs at the RAW area. Thats why you can expect an excellent line up of high quality artists. For this big birthday party, we are already hatching plans which we gonna present to you within the next weeks. So stay tuned! 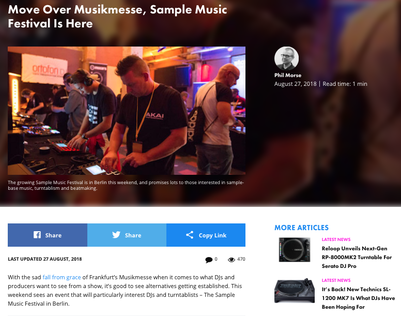 This year, Sample Music Festival has partnered with Musikmesse / Prolight+Sound Frankfurt - Europe’s largest event for musical performance and technology. For the entire duration of the show, we’ve installed a musical interaction area in cooperation with some of the industry’s leading brands. We’ve received great feedback on this concept and are looking forward to entertaining this wonderful, international audience again in 2020! 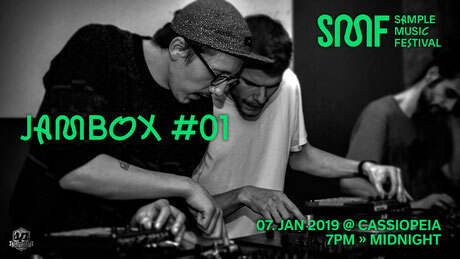 Welcome to JamBox, a FREE monthly session hosted by Sample Music Festival: open stage for turntablists, finger drummers, beatmakers and everybody who represents sample music culture… or just likes to kick back and watch it all happen! On the first Monday of every month, you’ll have the opportunity to hang out, jam together, show off your skills or even host a workshop about the things you love & share your craft with others. Open call for submissions at www.samplemusicfestival.com – join us! 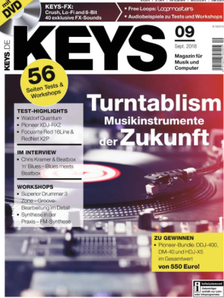 SampleMusicFestival made it on the front page of Germanys most popular magazine for electronic music production. 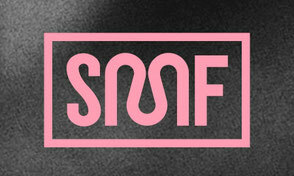 A big step for SMF to put our culture more in the public focus. One big focus of the event was the linking of sponsors and attendees in an intuitive way so that everyone who attends SMF 2018 can benefit. We strived to stray from the regular exhibition set up for purely commercial purposes, to do this we installed this year a "musical interaction room“. The aim was to animate the attendees to use sponsor products in this in this musical context. All the equipment was pre-loadeded with samples/sounds and daisy chained with the PA in the room and so the users conducted jam sessions in between the hourly product related showcases. This years highlight was the "Clash of the Titans" battle between 12 different scratch communities from all over the globe. 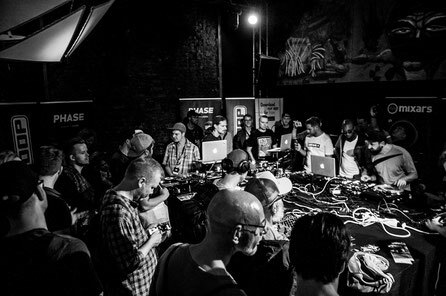 All of them are known for high-level scratching and battles and this year we brought them together Prior to SMF each country hold their own local battle, the top 1 of the local battle were heading to Berlin for the final. The winner of the 2018 edition was DJackulate from Ireland who owns the crown as the first international skratch titan. Thanx to all chapters and participants who were involved. In 2018 we broke new ground by including more traditional musicians. Hence we have teamed up with BIMM. This music institute is a group of eight independent colleges with over 6,000 students that specialize in providing Modern Music education. 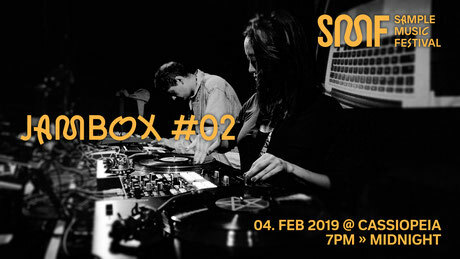 Due to this cooperation we attracted more people from outside of the established turntablism and finger drumming community to promote public awareness of sample-based music. 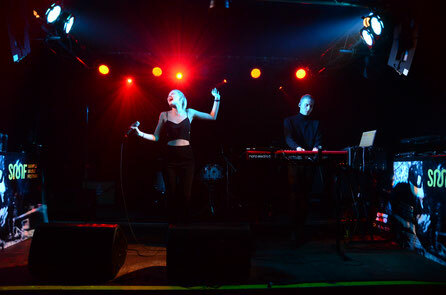 We gained from this cooperation new input to create a growing network of music enthusiasts. Oh man what a night ! After the big success of the first Finger Drumming Competition we rang the bells for the next round. Twelve participants from all over the globe competed against each others in Berlin. It was a tremendous battle and the audience went totally nuts. 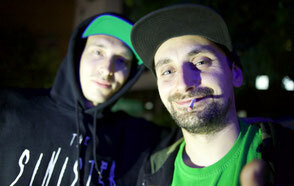 Congratz to Beat Matazz from France who won the battle. Thanx to AKAI for powering this competition and all the other sponsors who were involved. See you next year! Sample Science is monthly event in Berlin that brings producer and sound geeks together. At this years SampleMusicFestival we hosted a special edition of this session. Eleven participants joined this session and had a lot of fun. 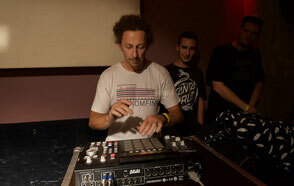 Within two hours they produced beats using one particular audio sample which was provided by Tracklib. Prior to this session we installed a round panel on sampling with interesting guests from the industry. We definitely shall be expanding this concept for 2019. In cooperation with SERATO and Battle Avenue we have released for SMF 2017 a special SampleMusicFestival Serato DVS record. 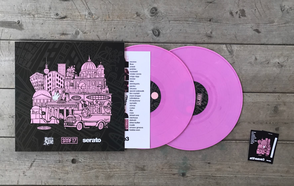 This record includes a download card with beats by several artists including DJ Excess, D-Strukt, Cut&Paste records and more. Interested artists and developers from various disciplines are encouraged to submit music project ideas to become a participant at SampleMusicFestival. Selected participants who have proposed a project idea will be named official in the program schedule and will get a free festival + accommodations for two nights. The first finger drumming competition was a bis success. We had participants from France, Italy, UK, Poland, Russia and Germany making the crowd go crazy. The winner of 2017 was Guvibosch and we are looking forward to seeing him defend the title in 2018. With 20 scratch DJs entering, the level of skills in the 2017 competition was one of the highest ever. Symatic brought the title back to the UK and Chmilex from Poland came in a worthy second place. Thanks to all participants, Battle Ave and the judges who did a great job. One of our aims is to progress constantly the concept of the event. For instance, we would like to involve more electronic music artists to expand the program schedule and attract more people from other music genres to visit the venue. Another idea is to host a controllerism competition and install jam sessions for all kinds of musicians. The festival's focus, therefore, is making contacts. 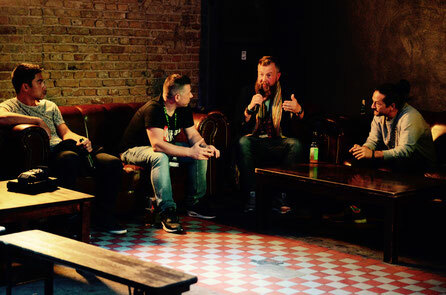 A meeting of modern music and venue for linking different aspects of sample culture. Now it´s up to you because we need your help! Please gives us feedback on the last events and what you liked the most and what criticism you may have. If you know an artist or inventor of devices or software which relates to sample music - please let us know! Use the form below to share your ideas no matter what it is! Thank you in advance.